Registration of .np domain is free in Nepal .np domain is a ccTLD (country-code Top Level Domain). We can make variation of domain extension with .np domain as .com.np, .net.np, .org.np, .edu.np and a lot more. Any citizen are eligibility to register for .np domain, however there required special eligibility process in registration of some domain. As to register .edu.np one should be a verified academic institution. Today we would be talking about How to register .np domain in Nepal as a process of .np domain registration in Nepal. Domain name is a unique identity in the World Wide Web. Once a domain name is registered by a user s/he have full control over that domain until it expires. Well there is no expiry date for .np domain yet. Every domain name should be associated with an IP to locate the resource that is to be displayed in web page. A domain can point to different resources with their different subdomain, thus we need DNS manager to manage all this pointing to IP. Domain name is not just a URL, we could use our domain name as email service, as hi@amritdevkota.com.np for me. We will be writing article about this too. How to register .np domain? We can register .np domain from Mercantile Communications. They provide well facility and good user interface for the registration of the .np domain. It would take some days for your domain to be approved. In the mercantile we can enter the Name Server of the hosting. Mercantile doesn't provides DNS management as of all other domain registration sites. So we need some DNS management tool. If you are learning to play with your domain and hosting you should use DNS management as it would take another day(s) too for your DNS change to be approved and it can take up to another 24 hours to resolve DNS. So, we would talk about DNS management tool first. Godaddy free DNS management is one of the popular free DNS management tool. So, we would be talking about godaddy DNS tool here. Godaddy could be used for other purposed too but here we would use it only for DNS management. What we do is we point our domain to godaddy from Mercantile and we could point any sub-domain to any server form there. We could use a lot of zone records found there to make use of our domain. First visit godaddy and create your account here. After your account is set up and verified, you could add your domain here. Now let's go back to .np Domain registration in Nepal. Now, we had set up our DNS management tool. We can process to .np domain registration. First as we already mention a domain name should be unique. So, we should check whether the domain we want is available or not. You can check domain availability without login too but as we are going to register a domain, so first let's create a user account on Mercantile registration site. First visit to https://register.com.np/login and Click in the Create Account. Then, enter your Name, Email, and Password and conform the new Password. Click in Create account to create your account. Follow the process if any action required. Login to your account and verify your email. Now, we will be registering our .np domain click to https://register.com.np/userdomain in the Apply New domain section enter your desired domain name and select the appropriate domain extension. Then click in Search. If you get Sorry! Domain name is already taken. Please choose another domain. Select other matching domain and search again. If your domain is available you will get some message as Congratulations! Domain name is available. Click "Register now" for further process. Click Register Now for further process. Now in the Attach required documents section select Registration/Citizenship document and click in Choose file select your scan copy of citizenship click open and Click Save Image. Now, your Domain is requested for registration. You can view your status in user-domain section. Now, in the Attach required documents select Cover Letter. Enter The Scan copy of your cover letter with the application to register the domain name. You need to provide Company Registration Certificate from the Registration/Citizenship document. So from Additional required document select Registration/Citizenship and click in the choose file and select the scan copy of the registration and click open. Then click Save Image. Now your domain is send for registration. It would take some days to get your domain registered just wait and Register your domain. Whenever your domain is registered you can use it for any purpose through cloudflare or Godaddy (whatever DNS management system you used). If you are looking for other free domains in Nepal you can check our post [Free Domain registration in Nepal Blogger Nepal]. Here are list of some free domain registration. You can register and get started with other domain, Domain here are easy for use and registration process is easy and fast. So you could learn domain hosting learning easily. If you want to start a blog on your domain. You can follow article Set up .np domain for blogger. You need is to add some zone records in the DNS management tool and everything would work fine. If you got any error or any support we could reply you ASAP just comment below. Blogger is a best blogging platform in the internet today. You can set up your blogger blog in some minutes and start your blog right away. Blogger provides sub-domain of blogspot.com to the bloggers. Users can set up their own custom domain in blogger blog. This sounds great to use own domain without hosting charge. As we know Google rank top level domain then that of sub domain, using custom domain helps you rank better too. Here we would talk about adding custom domain to blogger and adding 'https' to out domain. Why to add custom domain? You already have your blog in blogger. You are sharing ideas and writings to peoples around world. You are using custom domain of blogspot.com what if you could use your own domain? And in case of Nepal .np domains are free and we can simply register own domain and start using it For free with blogger. It looks professional, whenever you have your own domain in blog it looks like you actually own the site and it will be all yours. People would refer your domain as site "S/he have a site" sounds better then "S/he have a blog in blogger". Easy to share with other, you can simply give your domain name insist of blogspot address. How to add .np domain in blogger? Generally, all the domain register provides DNS management to their users. But .np domain register does not supports DNS management tool, so we need a Domain Name Server management tool first of all. For simple understanding a domain name is not just an URL for a website. You can use this for email service too. Any number of sub-domain can be created from a domain name. To load any page it should have some contents, all the contents are stored in server. Domain name are for human remembrance only browsers works through IP. So your domain should point some IP so that the request could reach the resource and display the response. For that, we should point our domain and subdomains to servers. But in .np domina registartion there is no option other than Name Server. So we need DNS management tool. The most popular DNS management tool is cloudflare and godaddy free DNS manager. So, First create your account on any of these service. Then add your domain. Now, to set up blogger with your custom domain first go to blogger.com and settings. In the general settings and Publish section there is option called set up 3rd party domain. Click in that option. Now, add your domain in the required field. Note you can only use Sub-domain in blogger. So, Better to use www.domainname.com. Now you will get some error message and there are two instructions you need to follow. 1. Add a CNAME record to point your sub-domain to blogger blog. 2. Add a CNAME record to verify the ownership of your domain. Login in back to DNS management tool and select your domain you are working with. Then click in DNS or Manage DNS. Then select CNAME as a record type, Sub-domain we take example of (www) in the name section and ghs.google.com in the host/point to section leave other option as default and click add Zone Record. Again Add the other information provided by the blogger. This one is unique to each users as it is for verification of the domain. (Skip the Cloudflare security if you are on Cloudflare). Remember it could take up to 48 hours to resolve domain. Just stay calm but in general condition it would happens with in some 30 minutes. How to enable https in custom domain? So, here we are, So how can we enable https in our .np domain as a custom domain in blogger. HTTPS for custom domain is still in development phase in blogger, so it is not available in general blogger website. We need to access some special blogger section to access the development phase feature. To enable https in custom domain in blogger visit to draft.blogger.com. Then go to settings, In General settings HTTPS section be low publishing tool select the option to add HTTPS supports to your custom domain. It would take some time to set up SSL for your domain. It would take about 3-6 minutes in general case, If it takes some time don't worry it would be enabled in your site really soon. And you cannot use the option below the HTTPS section when SSL is being processed. Refresh the page and turn that option to Yes. Nepal Telecom is the first telecommunication provider in Nepal. It was established as a fully government owned corporation. On February 2004 it was transformed to general public. This company was an only Telecommunication corporation till 2003, when United Telecom Limited starts providing basic service of telephony as a private sector company. 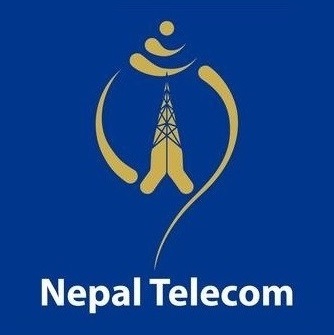 Nepal Telecom is one of the largest corporation of Nepal. In this post we would discuss about some Nepal Telecom tips and tricks. Here we would learn about Nepal telecom Recharge service web based and internet. Data packages, internet, 4G service, ADSL services and many more by Nepal Telecom. As being the public corporation and most of the share is owned by government, they have variety of services on reasonable price. Nepal Telecom GSM and other services could be recharged from various platform like eSewa, ipay, khalti and many more. We can simply provide mobile numbers and Balance to recharge our mobile then the balance will be decoded from the account and will be recharged to the service we select. Nepal telecom provides GSM and CDMS for mobile phones. GSM Post-paid is operated as NTC Mobile. GSM Pre-Paid is operated as Namaste and CDMA as Sky Phone. They provide EVDO service via CDMS for the wireless transmission of data through radio signals, typically for broadband Internet access and can be used in various devices like USB EVDO modem, PCMCIA EVDO modem, EVDO mobile, etc. Nepal Telecom provides Data Package service for both GSM and CDMA mobiles. For GSM Data package starts from 10 MB of Rs. 8 which will be valid for 2 Days. Whereas for CDMA 40 MB of data of Rs. 15 valid for 3 days is the starting Data volume. To subscribe 200 MB data package: Type "DATA200MB" and send to 1415 for both GSM and CDMA. Nepal Telecom provides internet facility via GPRS, EDGE, HSDPA, HSUPA, HSPA+, LTE, broadband, satellite phone, WiFi Hotspot. Nepal Telecom Provide ADSL, Fiber Connection and Leaser Connection as a wired connection for internet. As a wireless service 4G internet, GPRS, 3G, WiMax, EDVO service and NT Bus Service. Nepal Telecom does not have a good costomer care service. We can call at 1498 for Customer care. Call at 1498 for Customer Care for GSM mobile. Call at 191 for Customer Care for CDMA. Call 1698 for Customer Help Desk. You can check NTC PSTN Bill through this link: http://pstnbill.ntc.net.np/. You can also get the information of GSM Post_paid billing information from this website: http://gsmbl.ntc.net.np/ you need to provide PUK code. You can get PUK code by sending "PUK" to 1415. Nepal Telecom is the first Telecommincation in Nepal to Lunch 4G LTE Service as on 1st January of 2017 on technology neutral frequency band of 1800 MHz as standard for 4G in Nepal. NTC Provided 4 GB of free data for four days. 1 GB per day when it launched its 4G connection. The network initially covers most parts of Kathmandu and Pokhara. To use 4G/LTE service, your mobile device needs to support 4G/LTE and in case you have older version of SIM card, you will need to replace it with newer 4G enabled SIM(Universal SIM i.e. U-SIM). Just dial *444# and check whether your SIM card supports 4G/LTE. Nepal telecom provide ADSL (Asymmetric Digital Subscriber Line) for Internet connection via wired connection. To use ADSL service you need PSTN line from Nepal Telecom. Blogging is one of the best tool to express our opinion and views to the whole world. Many people wants to start blogging but have not able due to insuficient guidance. You most be new in blogging in this post I will try to clarify each and every step how to involve in blogging in simple way so, that it would be understandable to every beginners in blogging. You have footed on right site here I would assists to avoid every mistakes while starting a blogging. There are different platforms for Blogging like: Wordpress, Drupal, Blogger, Tumblr, etc. Among these all why I prefer to recommend Blogger to the beginners because it is easier to manage then on other platform. With less effort you can even generate income through google ad-sense. The following steps would make you confusing rather it is the simplest and well explained straight forward steps are given one steps after another. Step 1: Log in to your gmail Id on your browser and go to the link: https://www.blogger.com . Step 2: Create your own blog. When you sign in your Google Id and first visited Blogger you would get following dialogue box. You would fill up your blog Title and Address. The Address for your blog should be unique only which would be available otherwise it states that 'Sorry, this blog address is not available.' until you get an unique blog address. Choose one of the theme you like for your blog. The theme can be changed later on as per your preference. Then, click on create blog. Step 3: Once you have create your blog you have two types of pages. One is for observing your post published which is public while types of webpage his access to the blog owner who can manage the post, create, edit, label, observe statistics, page views and etc. You can create other blog from the down arrow right side of your blog title by clicking on New blog on the ends of the list of blogs. You can enjoy blogging then after. On clicking new post you would have your space to create new post. You can even edit your post every time you like and found something mistakes. Compose section and HTML section are two section for editing/composing post. Compose section is simpler form for writing article similar to that of writing on MS- Word. while HTML section is used for designing the test in more specific way. There are many general buttons in the tool bar to make your article easy to compos and edit without applying HTML tags in Compose Section unlike in HTML Section. You would be familiar with this all once you start blogging using Blogger. 'Save' Button saves the blog under composing into draft form. 'Preview' Button on clicking shows the outlook how your post seems on your blog. 'Close' Button closes the edit section saving the changes. 'Label' signifies which types of post that you have created. You can arranged your post by categorised them into different category in the label section. Other options can be remain as given no need to make change to anything. At the end if you like to publish your article then you can by clicking 'Publish' Button. This is how you end up with your first blog in the blogger. Hope, this article is helpful to you don't forget to share your opinion below in the comment section. Today we would talk about free domains in Nepal and free domain registration. Peoples from Nepal can register .np domain for free. Here we would talk ways to register other various free domains too. We will learn about features provided by those free domain registrations. First let's learn what Domain name is. You will learn about free domain registration in Nepal. Domain name is a unique string to identify a resource in the internet. Domain name are formed by the rule and procedure of Domain Name System. A domain name represent an IP resource. Whenever you enter a domain in browser, browser will search for the IP associated with your domain and reach to that server and request the user request. It's hard to remember an IP address so, for humans human readable Domain name are used. Domain such as .com .org .net are generic top-level domains (gTLDs) and such as .com.np .org.np .net.np are country code top-level domains (ccTLDs) for Nepal. For every domain registration you need to set Name server to connect your domain with the hosting. So you should first create web hosting. Follow this article for Free Web Hosting in Nepal blogger link. Or you can use some DNS manager such as cloudflare or Godaddy free DNS manager. Citizens from Nepal can register .com.np domain for free. .np domain is ccTLD of Nepal, Country code top-level domains of Nepal. You can register .np domain for free from Mercantile Communications. They also provide other features as web hosting and gTLDS registration. You can register your .np domain for free from https://register.com.np/. We have wrote an article on Registering .np domain in Nepal. .cc is a country code top-level domain (ccTLD) for Cocos (Keeling) Islands. You can register a subdomain from .cu.cc. It is short and sweet domain name. Any one can register these domain and use them for their use. You can register your domain from this site http://www.registry.cu.cc/. you can fulfill all the required details. freenom provides some set of domain that you can register from them. They are one of the free domain registration exist today. You can register .tk, .ml, .ga, .cf, .gq domains for this site. You can also register other top level domain at cheap rate. They also provides Public DNS resolver. Register co.vu domains from https://codotvu.co/ co.vu give you free domain name that you can use to host your Personal Website, Resume, Blog, Online Shop and many more... Create a identity for yourself. Visit the domain and click in get started. Create your account and register your domain. Here are other free domains that you could use for domain registration in Nepal. You can simply paste these urls in the browsers then you will ge redirected to the registration page. Enjoy the domain. .ga, .eu.org, .rr.nu, .za.pl, .usa.cc, .ml, .cf, .ga, .nom.za, .ze.cx, .zid.dj, .pp.ua, .ven.bz, .iz.rs, .co.vu, .de.nu, .slx.nl, ipq.co, .de.pn, .at.vc, .at.hm, int.tf, .eu.mn, .de.iv, .biz.ly, yi.org These are the domains you can register and get started. 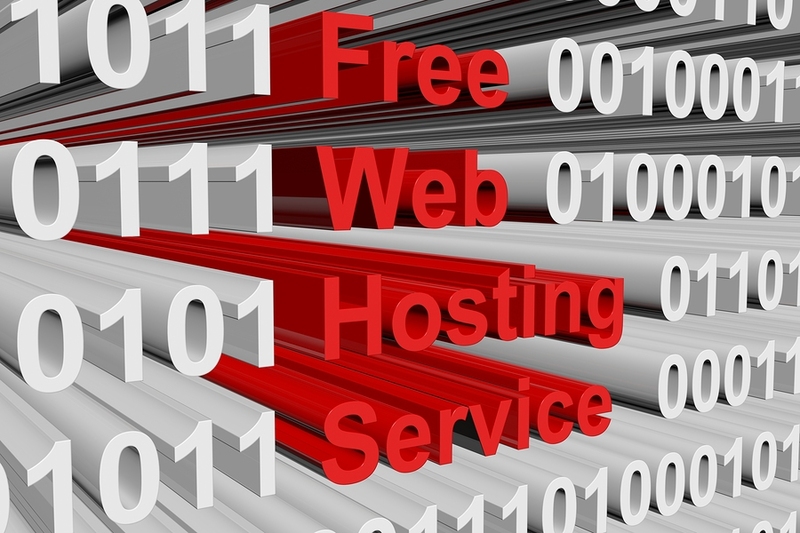 Today we will list the best free web hosting sites. In this list you could find their features, bandwidth, limits, hosting sizes and everything you need to know. You can run free domains in these hosting. You could easily host your free .np domain in these sites. Web hosting is service that could is used to store your files in the cloud server and publish them when requested. Simply hosting is storing of your file in a disk. That is on the server (i.e. you can access those contents through internet). When your domain is loaded in the browser, it will send a request to the server requesting the contents you are looking for, and your server will send the requested files. Simply web hosting is the service that hosts your file in the web and provides whenever needed via internet. If the hosting providers provide you the hosting service for free, then that service is known as a free hosting. Hosting needs a lot of task. You need to setup servers, 24/7 internet facility, cooling mechanism and lots of things. It would cost and for these service hosting providers will charge as per bandwidth or disk space or some other quantities. Whenever you got these features for free those are free hosting. Some provides totally free service and some hosting service display ads on your site. Free hosting comes with a lots of limitations, but you could run a small website without any problems. If you are in learning phase, free hosting are the best way to provide experiences with hosting. In some free hosting providers there are free and premium options too. As there will not be any payments involved in these service they could change their Term of service and features again and again. If you are in need of hosting and want to try how hosting works, they are here, nothing to lose. Give a try of these free hosting providers. This is the free webhosting provided since 2007 and it's already need 10 years of free hosting. They are the best free hosing providers. They provide Disk Space of 1000 MB, Bandwidth of 10000 MB (i.e. 10 GB), Total Websites allowed is 2 websites. They provide you Control Panel for free. You can display your own ads. You can use any free domains in this hosting providers and Click to install CMS. Easy for Wordpress hosting. The only limitation is one hour of Sleep. You will get Full instant backup and download in your local server. Web based file management, URL redirect facility and PHPmyadmin support. And there are lots of features. You can learn more features here. As it name suggest its 5 GB free web hosting service. They Provide 5 GB of Disk Space. 20 GB of bandwidth. Supports one FTP (File Transfer Protocal) account. You can create up to maximum of 3 database. They supports subdomain, Cpanal. They are ads free they will no longer display ads on your site it was update as of October 2014. Email is not supported. They have US based data center. You can get support from forum. One click installer is supported. You can access this site here. This is another free web hosting provider. They provide 20 GB of disk space. 200 GB of bandwidth. Supports 3 PHP Versions. They provides free site builder. You can set up POP3 email account. You would get subdomain or you can use your own domian. There are no forced ads for you to display in your site. Supports one click install to popular plateform as Wordpress, Joomla, Drupal. You can access this site http://freehostingnoads.net/. FreeHostingEU offers professional and absolutely free hosting service powered by reliable cluster-based technology. They provide 200MB of disk space and 4000MB of monthly bandwidth. You can host up to 5 domains and they also provide subdomain if you don't have domain. FTP account is supported and you can access web based file manager. POP3/IMAP and SMTP email service is available. One click installation of popular platform. And also supports website builder. You can find this site https://www.freehostingeu.com/. Free Hostia provides free webhosting. They also provides VPS, and Dedicated Servers. Their datacenter are based on USA. They support one click install to popular platform exist today. They allow up to 5 Hosted Domains. Provides 250MB of Disk Space, 6GB of Monthly Traffic, up to 3 E-mail Accounts, 1 MySQL v.5 Databases, up to 10MB MySQL Storage. They also supports domain registration. You can access this site https://www.freehostia.com/. This is one of the best free hosting provider. They supports all the features of the free hosting above. They provide SSL Certificate from let's encrypt. No advertisements and one click installation that of 480+ popular platform in the www. They also provides 24/7 costumer supports. They use 1000 SSD of disk space and 100 GB of bandwidth with linux hosting. This is one of the free hosting you should try. Free SSL, Cpanal, Linux hosting those services are really great. You can find this site https://googiehost.com/. Hostinge was one of the best free hosting provider which is no more free but Cheap web hosting. Hostinger was one of the best free hosting for peoples from Nepal. 2Freehosting also no more supports free hosting. They have all the advertisement on the site and all the functions works, but they supports no more free hosting. Gmail account is the most for any purpose in the internet world. It is access to every aspect for the connectivity with the rest of the world of large internet world. It is a kind of web based electronic mail service which main purpose is to spread message throughout the internet coverage possess by Google company. Google provides 15 GB to each users for the purpose of storage of message and various documents. The advantage of having gmail is a lot. Some basic advantages are the electronic mail can be sent through out day 24 hrs and every 365 days of a year within the coverage of the internet throughout the world in the cheaper rate almost at free. 1. Google provides a huge storage. Lots of data can be stored. 2. It helps to provide access to anywhere online. 3. The data would be secure. 4. Easy to manage and manipulate. To use a lots of service under Google service we need to create a Google Account or called as Gmail Account. Step 1: Open your browser and go to Google Account. Google Sign In dialogue box. Step 2: Since, you need to create Google Account. You either don't have google account or you want another gmail account then, click on 'More options' in the left side at the end. Create your new gmail Id. Select Create Account as shown. Step 3: Now, you need to fill up the form. Fill up google form for new google Id. Here is a sample form fill up. Fill the form like this. You need to choose a unique username otherwise the following dialogue will appear until you get a unique user id. If you done this all click on Next step. Step 4: Drag down a scroll bar on the dialogue box appear and click on I Agree. Click on I Agree on the terms and condition of google. Then, you would have your google account or gmail account created. You can manage your gmail account as per your requirement then after. Here in this post I will be talking about how to start a blog in Nepal. I would primarily focus on blogger so that it would easy to the beginners. This discuss about blogger for blogging would be beneficial to beginners for learning purposes. If you are interesting to start blogging then your feet are in the right place in right time. After you get some ideas about blogging on blogger platform I would talk about wordpress later. At first you would learn to use your own domain. I will guide you to register a domain (.np) which is free to use. Then you would use custom domain for blogger. This mean you will be displaying out contents on your own site using the blogging platform. There are a lots of benefits of using custom domain. Blogger officially supports https for custom domain as well. Also you would learn about wordpress hosting in this post. I will also guide users to earn from their blog. But remember your main intension should be Sharing ideas and valid information to the users, as yet Words are the most powerful thing in the web. Simply a blog is a website, which is regularly updated to share the information and ideas by individuals or a small group of peoples. Large corporations also do have blogs where they share the information about the products services. They update their blog whenever they have some new features or added some services. Yet Individuals can also write articles, story, poems and a lot more. Users love to read articles from peoples around the world and blog is the only powerful medium to share and bring these peoples together. We from Nepal can somehow share articles, story, and experiences,opinion, views, etc are in few numbers and this number is going to increase day by day when we begin to familiar with the internet and outer world. Even for whole world due to advancement of Informational technology it is all possible of using blog as a sharing tools to every people around world. So, is the same with the Nepalese. As Internet is connecting whole world why not Nepalese connect with the whole world. Actually, writing blogs will increase your writing skills too. Peoples would know you and you starts to develop your personal branding. We always know "Bloni ko Pitho Bikcha na bolni ok chamal bikdina". Blogging could be your advertisement platform. Is it hard to start blog in Nepal? Actually there is nothing hard or easy, whenever there is will there will be the way. Yes there is no international transaction to buy good quality hosting services or no way to buy domain from domain registrar. We need to depend upon some individuals for that. In spite of it starting blogging is really easy task. I started writing blogs during 2013 with a blogspot domain (actually subdomain). Then I learn to register domain during blogging and reading articles from other blogger out there during beginnig days. Then, I register a domain (.com.np) and started using wordpress (Free hosting). But due to lots of traffics (actually it is not lots of traffics but 100 - 200 visitors a day could make that site down.) Then I start using This Blogger custom domain. The only thing is that I always want to share what I know. I still remember the first article I wrote was How to make your computer wifi hotsport- the working way. So just get up and start writing blogs. You could be a good writes or an instructor too if you could teach something through your website. If you really interested to have a blog and could not get way to start with it I am here with you. Get ready to get started. You will have your very own blog in some minutes. How to start Blog in Nepal. Blogger is a blogging platform provided by Google. Here anyone with Google account can create a blog and start sharing their ideas and knowledge. If you don't have a Google account you can create Google account and start it out. Talking about the features of blogger. It's easy to get started and best when you get to use to with it. There is no problems to set up server or hosting to start blogging with blogger and you can start sharing the articles with in some minutes. By default you will get a .blogsport.com sub-domain. And you can set custom domain whenever you want. You can follow this article to create yourfirst blog in blogger. 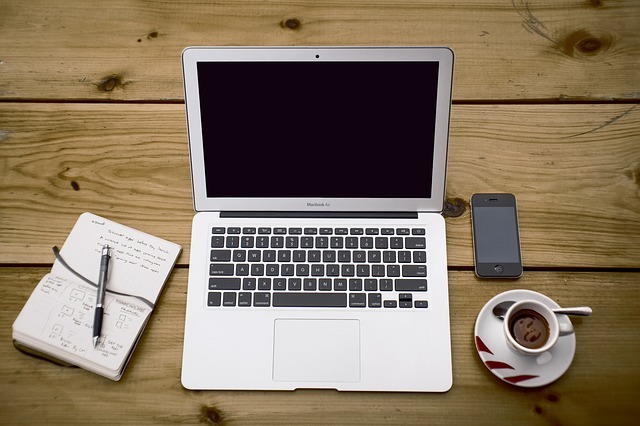 When your blogger blog is setup and ready you could start publishing your articles. All the blogging platform could work in the same mechanism. You select a title write a contents and publish them. You would select category too so that it would make visitors to navigate easily. Wordpress is the most powerful blogging platform exist today. There are two wordpress: wordpress.com and self-hosted (wordpress.org). For now I would talk about wordpress.com. To inform about wordress.org it is a Content management System that will be installed in your server and your domain will publish the contests from your own server. It need a bit of configuration and need to play with the server and command which is not what you want yet but I would write an articles on set up the wordpress.org too. So wordpress.com would works just as blogger blog. You would get a subdomain from .wordpress.com and here are more features then blogger so if you got your time and you should definitely test wordpress.com it's so testy. If you want to test wordpress.org for free you could use some free hosting or there is another site called altervista. I will write full article on that too. For now follow this article to create wordpress.com account. .np domain is a country wise top level domain. For our country registering .np domain is free of cost for individuals and corporations inside Nepal. So, anyone of you with Nepali citizenship could register an .np domain. Before registration you should know something about NS (Name servers and DNS (Domain Name server) and Zone records. These are the terms which make this 'World Wide Web' working and keep working. Every device connected to the Internet have its own IP address. So whenever you view a website you use the domain name but actually computers actually uses IP address to locate and web data. So, NS are used to point to the IP address. You should create an account in DNS manager account to manage your account. The most famous one is cloudflaur for DNS. I also do love Godaddy Free DNS manager. Follow this guide to create your own .np domain. Now, you have your blogger blog and your own domain now we can set up your domain with the blogger blog. Your old URL will still works and your visitors could found your site. You can simply add your custom domain in blogger using the settings in the blogger. In the address section click and add your domain. Remember you cannot use root domain in blogger i.e. (bloggernepal.com is root domain). You can use subdomain (www.bloggernepal.com). You need to point your domain to Google hosting service. For that you need to create a CNAME record for domain verification and another to point your sub-domain to Google server. 'Https' is a secure connection that means all the data transferred over https servers are end to end encrypted. That means whenever a user send a message to web server the message will be received only by the server no middle man can access. Google and other search engines announced to rank goog to those sites with https and derange sites without https. So having https is a best idea. Blogger supports the https for blogger custom domain is still in beta (test) phase. But you can Follow Blogger Officially Support HTTPS for Custom Domain guide and make your custom blog with https secure. By now you have your blog in Blogger with custom domain with SSL. This is the stage where you could stay and make progress of your site. Remember to regularly update your blog. Share interesting and useful information. It make take too long to happen something just keep doing and keep sharing. You will be ranked one and your content will be in the positing they actually are. One of the benefits from blogging is that you would gain from blogging. There is nothing to waste give your free time to write and share articles and you would get payment too. You would get more and more idea when you write about something. Remember there is something you could learn from those task you do. And you will always learn something. Learning and increasing your knowledge is also a earning. You can publish advertisement on your blogs. And you will get paid as per the number of views. There are a lots of platform that promise you to give lots of earning but yet Google adsense is the only best way of displaying ads in the blog. You can earn from displaying ads from Local Corporation with direct contact too. You can get paid for reviewing some products too. There are lots of ways to earn if your blog actually gives some value to your visitors. Remember Words are yet the most powerful thing in the World Wide Web. How to Create a Brand Account in Google Hello all ! Google brand account is that account same as facebook page for your business. Today, we will create brand account for our Business or Products like blog or website. This is the way we create sub account under a account in google. How to Create a Brand Account in Google. For more see: Create your Gmail Account. So, lets create a brand account. Then, your Brand name website and thats all. Check the video here: Google had Updated the new process for Brand account please check the updated Video blow. By now your google brand account is created. Now, we will create youtube Channel. To create youtube channel for this brand account visit youtube.com. Click in the your Profile at top Right site. Click in The Youtube Setting (Gear signal). Click in the Create a new Channel as shown in above image. You will see your new channel under brand account in (your email). Now, you had create a new youtube channel and from google brand account. Make use of it. How to Create a Brand Account in Google. Before leaving please subscribe and follow us with your mail. Thanks for visiting us! Have a good day. Keep Visiting BloggerNepal.